Kara Ann Waitzman, OTR/L, CNT, NTMTC has been a neonatal therapist for over 30 years and serves as a developmental specialist in a large level III NICU, while consulting and mentoring staff in numerous other nurseries. Kara Ann is Pediatric Neurodevelopmental Therapy (NDT) Trained, is certified in Newborn Individualized Developmental Care and Assessment Program (NIDCAP), Infant Massage, and obtained the Neonatal Developmental Care Specialist Designation through the National Association of Neonatal Nurses (NANN). She has served on AWHONN’s Continuum of Care and Power of Touch Advisory Boards as well as the National Association of Neonatal Therapists’ Professional Collaborative. She currently serves on the NANT’s Conference Planning Committee and the March of Dimes Program Services board. 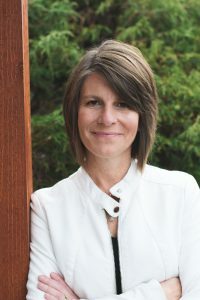 Kara Ann is President of Creative Therapy Consultants, Founder of the Neonatal Touch & Massage Certification, and Co-Owner of Infant-Driven Feeding, LLC. She has been a internationally sought after speaker, educator, and consultant for 2 decades. Kara Ann has published articles on positioning and feeding and written a chapter on Neuromotor Development and Massage. She has also received several professional awards including the Ohio Occupational Therapy Pediatric Model Practice Award, the March of Dimes Healthcare Worker of the Year Award, the MVH Excellence in Service Award and most recently the Inaugural Pioneer Award from the NANT. Excellent training experience: Presenters were so positive and it was evident that they have a contagious passion for giving the best care to our littlest humans. I feel empowered to better care for my patients and their families. A great hands-on approach with excellent ways/ideas to implement into practice. Intentional care-giving brings the focus back to the baby, as a baby, and is a wake-up call that is much needed. Left me wanting/excited to continue to learn. Very informative and pertinent. It will be so useful in helping my babies in the NICU to improve function. Wonderful Course! Very valuable and useful information. Practice was so helpful. I really enjoyed this course so much. I feel like I learned so much and many techniques that I can incorporate in my daily practice in the NICU to make a difference with our babies. Thank you for all of the wonderful knowledge! I appreciate it so much, and love to see what a difference it makes! Very eye opening and exciting to put this into practice. It was a pleasure; so well done. I feel that it is a lot of info for a two day: this is info I’ll need to review, process and practice. Thank you for everything!